OR THOSE WHO HAVE BEEN following the Lalemant Interviews, this will be old news. Monsignor Andrew Wadsworth, Executive Director of ICEL, recently reminded us that we should stop replacing the Propers! This is very much in line with Monsignor’s work regarding the “Roman Missal, 3rd Edition.” It will be remembered that the previous translation by ICEL was more of a “free reflection” than an accurate translation. In essence, we were substituting the theological notions of a small group of people (frequently tinged by ideology) in place of the actual prayers of the Church. In the same way, when we choose to replace 100% of the Propers 100% of the time, substituting other people’s thoughts and reflections, we are missing out on great riches which the Holy Church desires for us to receive! I think we are currently well placed to respond to this desire and this is evidenced by the fact that many things which were indicated fifty years ago, such as the singing of the Mass — and more particularly the singing of the Proper texts rather than the endless substitution of songs and hymns, are only now being seriously considered and implemented. 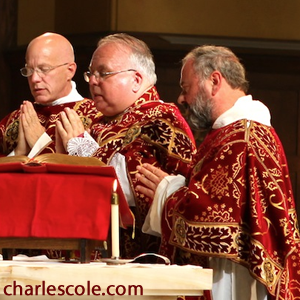 It is earnestly to be desired that such developments continue to flourish and that an improved liturgical culture is accessible to everyone in the Church. Time will tell whether the musical resources necessary to the success of such a development flourish in our midst. If they do not, then I fear that many of the less desirable features of post-conciliar liturgical music may be here to stay.